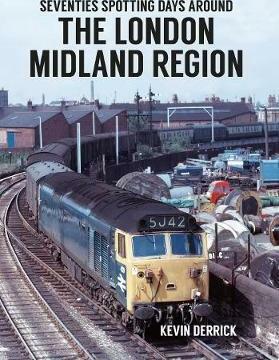 Seventies Spotting Days Around the London Midland Region is a full-colour photographic album depicting the 1970s with coverage of both diesel and electric traction from that great period of change on our railways. The captions include items of news, culture, music and personalities from the era to bring back the memories of our youth. Locations within this volume include: Crewe, Carlisle, Wigan, Derby, Toton, St Pancras, Euston, Willesden, Reddish, Guide Bridge and many more.